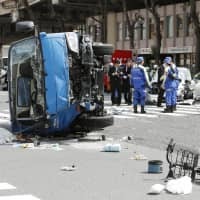 Japan’s annual diplomatic effort to demonstrate its anti-nuclear credentials and create momentum for disarmament has run into a major obstacle in the form of its most important ally, as well as an atmosphere of division between states possessing atomic weapons and those without them. 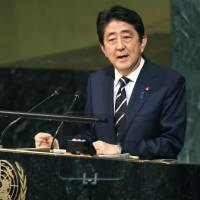 A draft resolution recently proposed by the Abe government to the United Nations General Assembly was dramatically watered down under diplomatic pressure from the United States, government sources have revealed. Japan, the only nation to have been attacked with atomic weapons, saw the U.S. destroy Hiroshima and Nagasaki with two atomic bombs 72 years ago. it has proposed a series of draft resolutions on nuclear disarmament to the General Assembly since 1994. Last year, its proposed resolution was adopted at the assembly’s plenary session with support from 167 nations, including the United States, while China, North Korea, Russia and Syria opposed and 16 other nations abstained. Close examination of the text has found a few major changes from past resolutions. The phrase, “the catastrophic humanitarian consequences of any use of nuclear weapons,” has been a keyword used by international movements pursuing a denuclearized world in recent years. It seems a minor rhetorical change, but the deletion of “any” has raised concerns and sparked severe criticism from nuclear disarmament specialists in Japan. “The omission of the word ‘any’ implies there could be a case of nuclear weapon use that would not cause inhumane consequences and therefore this type of use might be permitted,” professor Tatsujiro Suzuki, director of the Research Center for Nuclear Weapons Abolition at Nagasaki University, pointed out. “It can’t be helped if Japan will be regarded (by the international community) as an unfit advocate for the abolition of nuclear weapons,” Suzuki said. “The Japanese draft resolution looks like one proposed by the United States or any other nuclear weapon states,” said Akira Kawasaki, an International Steering Group member of ICAN, or the International Campaign to Abolish Nuclear Weapons. ICAN will receive the Nobel Peace Prize at the end of this year in Oslo for its worldwide grass-roots campaign for the adoption of the Treaty on the Prohibition of Nuclear Weapons. During a recent interview, Kawasaki said “the deletion of ‘any’ is so problematic” that several nations which have supported Japan’s annual resolutions in the past may not become a cosponsor of the resolution this year. 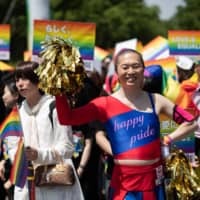 That wold pose a serious setback for Japan, which has taken a leading position in the international disarmament based on its strong credentials. Governmental sources suggested that the administration of U.S. President Donald Trump opposes including the word “any” in the draft resolution, and that Japan made the concession to get Washington’s support for the document. 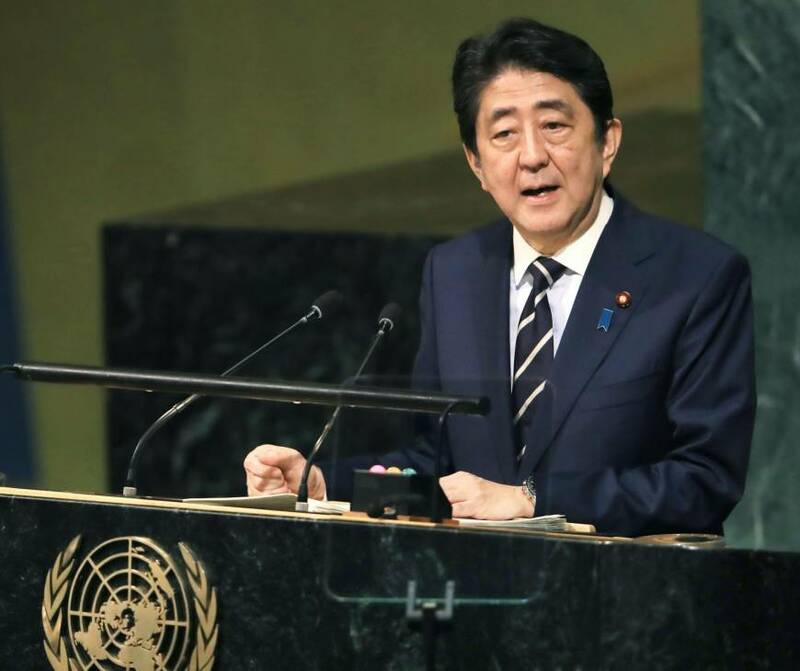 Another conspicuous change in the latest Japanese resolution is that it urges only North Korea to sign and ratify the Comprehensive Nuclear Test Ban Treaty without delay, rather than the eight nations it named for the previous resolutions. Japan is a key advocate of accelerating the CTBT, which requires ratification by eight nations including North Korea, China and the United States. The U.S. Republican Party is widely known as a strong opponent of CTBT. “Our new draft resolution is the result of policy considerations for creating a common ground between nuclear weapon states and nonnuclear weapons states for furthering a practical approach (toward nuclear abolition),” said one official of the Ministry of Foreign Affairs without specifically explaining why they decided to make the notable changes in the draft resolution.